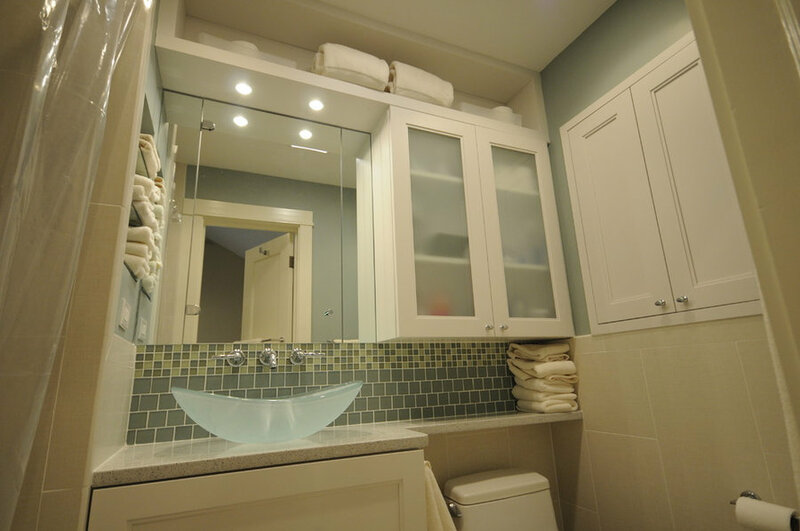 This small master bathroom remodel had us maximizing storage capacity by taking the cabinetry all of the way up. 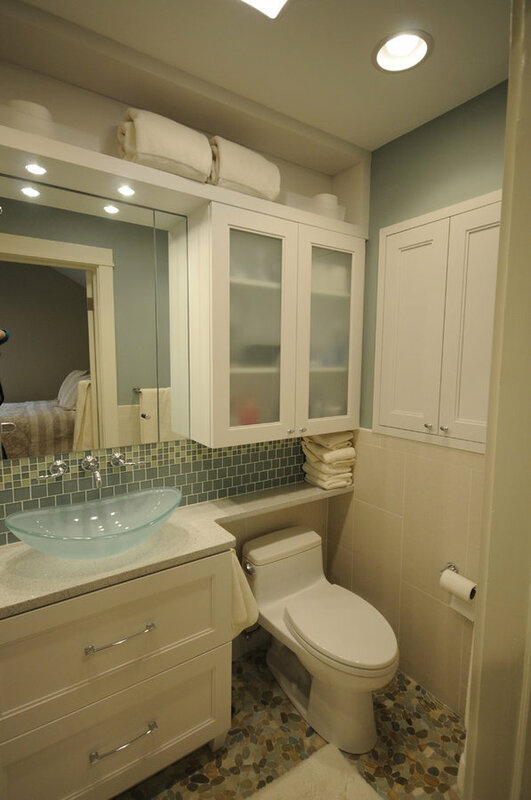 We utilized the space over the toilet and above, recessed several cabinets into the walls, and carved out multiple niches to gain as much storage as possible. 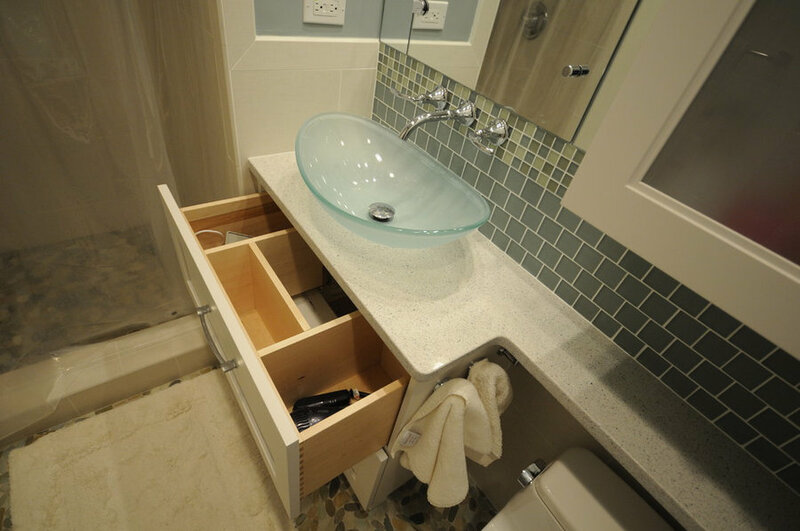 U-shaped drawers on the vanity cabinet added to the functionality. 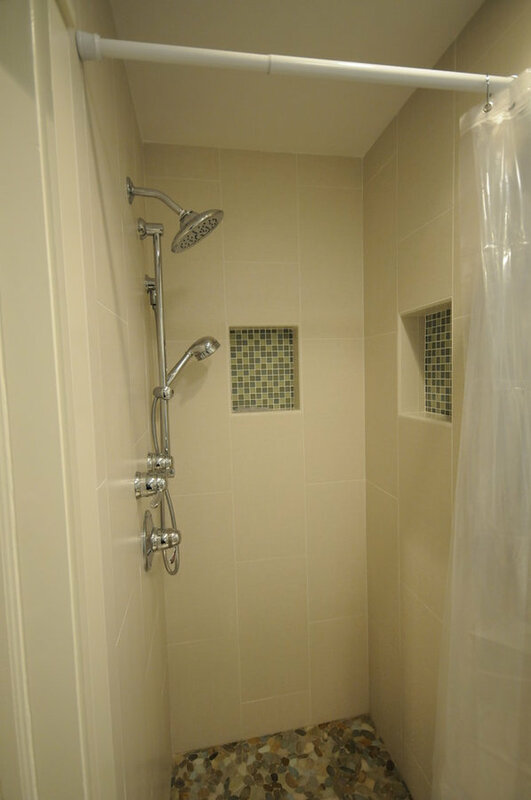 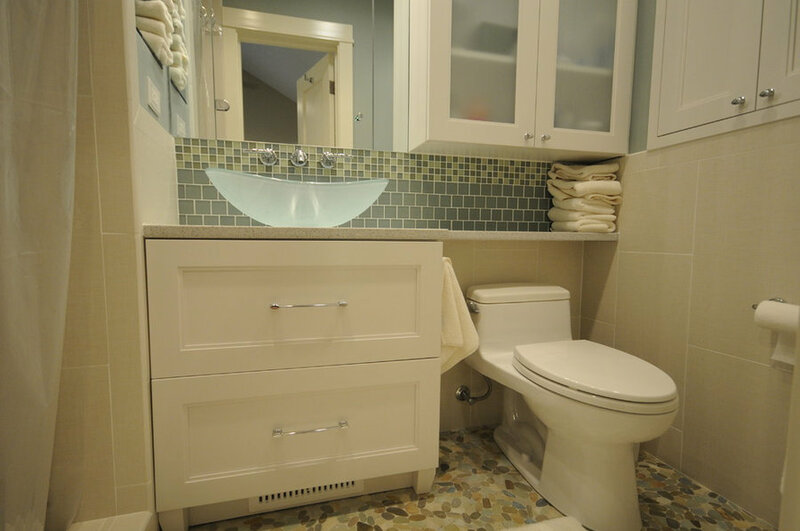 Thoughtful tile and paint selections added color and interest. 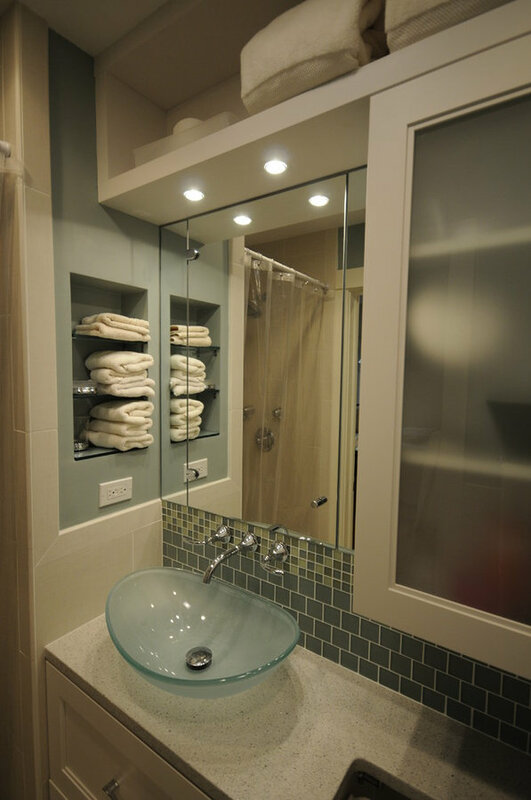 Polished nickel plumbing fixtures and mirrors added sparkle, as well as multi-tiered lighting. 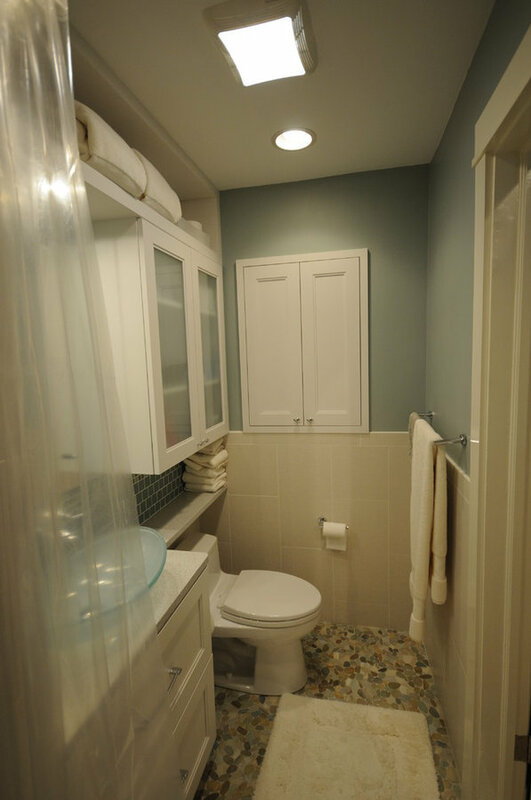 The result is a very functional, and beautiful, small master bath.